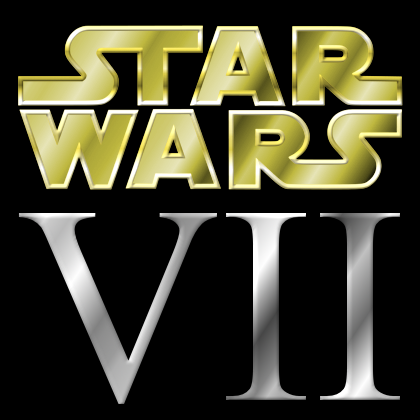 Has some of the mystery surrounding the plot of Episode VII been lifted? Devin Faraci over at BadAss Digest is reporting to have some interesting details of some early scenes from the movie. Keep in mind that this is just a rumor and could very well turn out not be true. Regardless, this is your official SPOILER ALERT! If you don't want to risk knowing anything about the movie stop reading now. Imagine the standard Star Wars crawl, and when it ends the camera pans up to the stars. But instead of a spaceship zooming into frame we see… a hand! A severed hand, tumbling through space. A severed hand gripping a light saber. That hand falls onto a desert planet, where it is discovered by characters who will be our heroes. One is Daisy Ridley. The other is John Boyega, who is playing someone trying to change his path in life (again, I’m keeping it vague here). They recognize the light saber as a Jedi relic and decide to return it to the proper people. Their quest takes them off world, and they meet up with Han Solo and Chewbacca, who aren’t flying around in the Millenium Falcon anymore but are piloting… well, that could be a spoiler. I’ll leave it. Anyway, Han and Chewie recognize the light saber as Luke’s, and they say they haven’t seen their friend in thirty years, since the events of Return of the Jedi. So that sounds....interesting. There are some interesting elements. I like the concept of Luke's lightsaber serving as a mcguffin to get the story going, especially if it is going to be 'The Search for Luke Skywalker'. Also, Han and Chewie not flying the Falcon is a twist (not necessarily a bad one) and perhaps part of the plot will revolve around them getting the Falcon back (or returning to it after an extended period of not using it). However, there are certain elements of this rumor that sound awful. For starters, panning up to the hand after the crawl. A pan up is no big deal (Attack of the Clones did it), but a hand? In space? The idea of a hand surviving both space and re-entering the atmosphere is a bit ridiculous, even for a franchise that features noise and fire in space. Also, why is Luke's hand floating in space? Is it the hand he lost in Empire? If so, how did it survive so long? If not, how did he lose his other hand? Then there's this issue, a super weapon capable of destroying an entire system? Really? We've already had two Star Wars films (three if you want to count the droid control ship in Episode I) that feature super weapons. That just seems way over the top and shows a lack of creativity (and, for the record, I had no problem with there being a second Death Star). Overall, I have to say I hope these rumors aren't true. That being said, if they do turn out to be true I hope they come across a lot better as moving pictures on the silver screen than they do as words on a computer screen. Keep in mind that we shouldn't truly judge something until we actually see it play out on screen. Something that sounds lame when written down may look incredible on the big screen. A perfect example of this? Star Wars. Imagine you're George Lucas trying to pitch that movie in world without Star Wars. It probably wouldn't have sounded that great either, but without it you would not be reading this right now. As always, this is just a rumor until confirmed or denied by Lucasfilm of Disney. The hand and saber were within cloud city and cloud city was within the atmosphere of a planet so what kind of fresh crack are they smoking to think people would even buy this as a rumor much less an actual scripted idea!!! Also, they'd have to think we were nuts to believe that Han and Chewie haven't seen Luke for 30 years. To me, it's just foolish. Sounds stupid! And the same think And situation again.